Whether it is stomach ache or a cough, it is not meant to stay for long. And if it does, it certainly calls for a doctor’s appointment. Here are some common symptoms of cancer that may seem harmless but require medical attention. 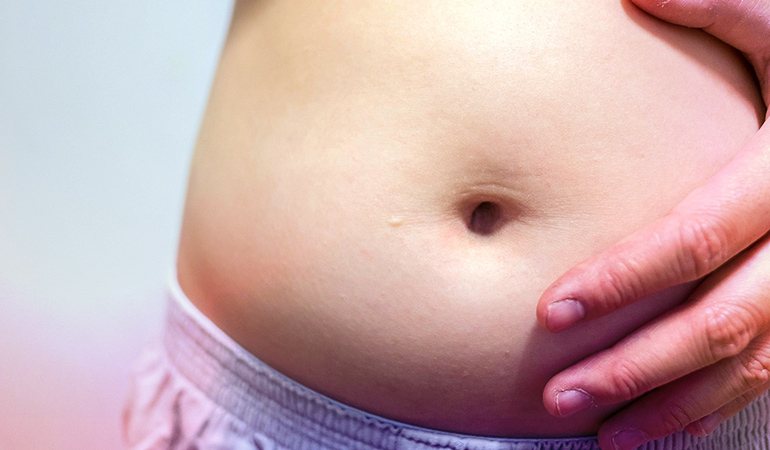 It is normal to feel bloated temporarily after eating a lot, drinking, or during periods. However, if the puffy feeling in your stomach doesn’t go away in a few weeks, consult your doctor. 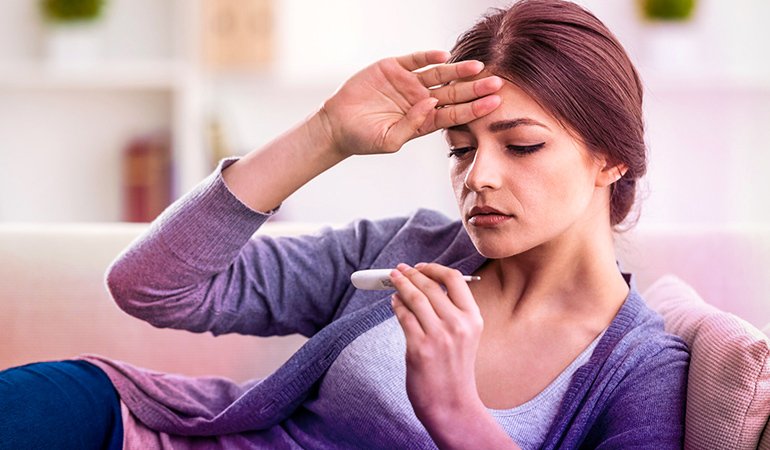 Bloating is a common sign of ovarian cancer.1 In addition to this, you may experience a loss of appetite, abdominal pain, and frequent urination. Vaginal discharge is not a cause for concern unless it is foul smelling, pale, watery, or brown, which could be a symptom of cervical cancer.5 This discharge can occur between periods or after menopause. 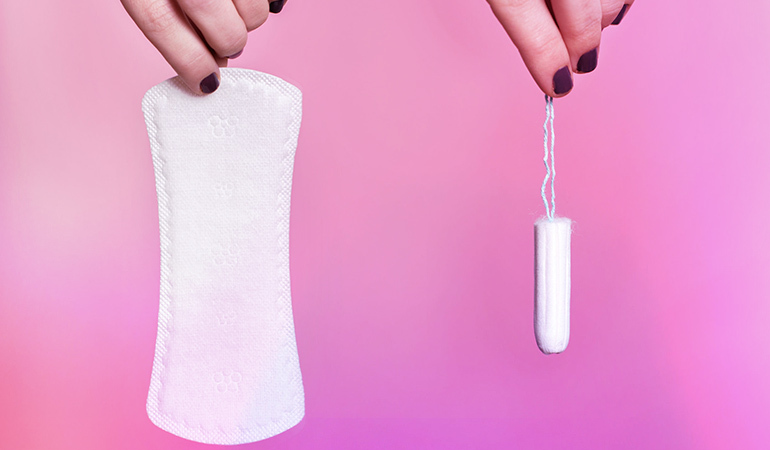 Sometimes, vaginal discharge can have blood in it and is mistaken for spotting. 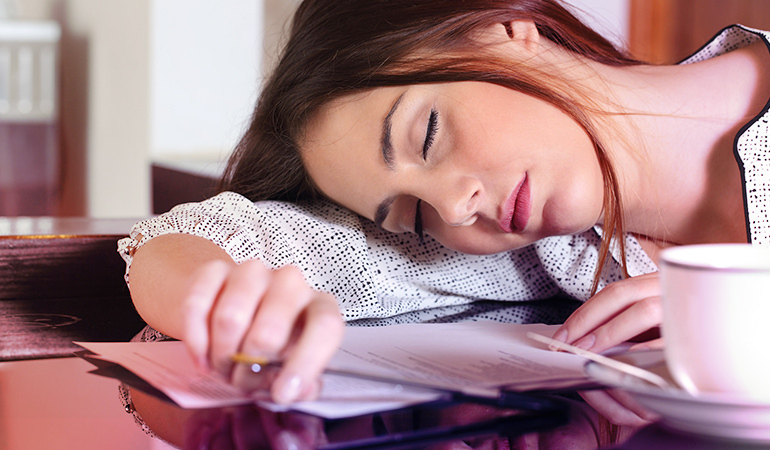 Sometimes, you may experience tiredness due to a physical activity or lack of rest that goes away in a day or two. However, if you feel fatigued even after getting enough rest, it could be a sign of leukemia, stomach cancer or colon cancer. In the case of leukemia, there is an abnormal growth of white blood cells which slowly outnumber the red blood cells in your body. This results in a condition called anemia, the deficiency of red blood cells that is responsible for fatigue.6 Similarly, colon and stomach cancer is often caused blood loss through stools. This results in anemia which in turn causes fatigue. There is nothing more you could ask for than to lose weight without exercising or following a diet. But what if this weight loss could be due to a serious health problem? 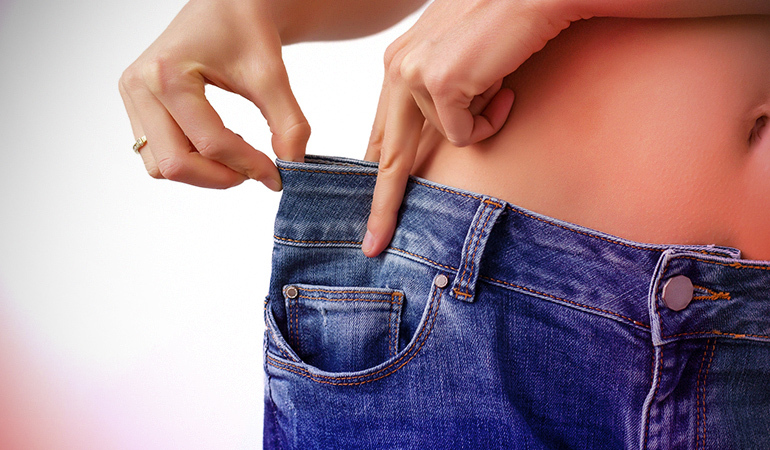 Unexplained weight loss of about 4–5 kg may be a sign of cancer in the pancreas, stomach, lung, or esophagus.7 As cancer cells multiply, they use up your energy, which explains the weight loss. Irrespective of whether you are a smoker or not, if your cough persists for more than 2 weeks, you must consult your doctor. A persistent and chronic cough is often a sign of lung cancer or leukemia.10 Sometimes this cough may be accompanied by blood, which could be caused due to bronchitis or a chest infection. Although the symptoms of colorectal cancer are not seen at first, when they do, one may experience stomach pain, constipation, diarrhea, fatigue, or blood in stools. A change in size, color, or shape of a mole, skin pigmentation, excessive bruising, or scaly skin are symptoms of skin cancer like melanoma. It mostly affects the areas that are exposed to the skin, making it easy to detect any change.12 Long-term exposure to harmful ultraviolet (UV) radiations from the sun can cause skin cancer. 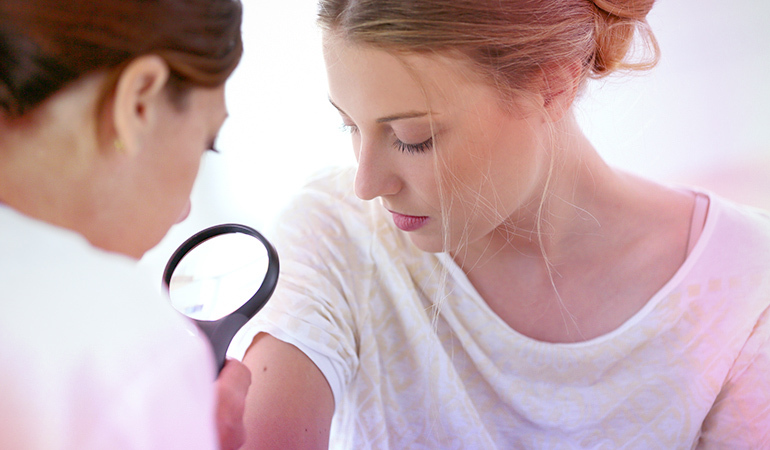 Regular examination of the changes in your skin is critical for early detection. 1. ↑ Signs and Symptoms of Ovarian Cancer. American Cancer Society. 2. ↑ Low, Emma L., Alice E. Simon, Jane Lyons, Debbie Romney-Alexander, and Jo Waller. “What do British women know about cervical cancer symptoms and risk factors?.” European Journal of Cancer 48, no. 16 (2012): 3001-3008. 3. ↑ Signs and Symptoms of Endometrial Cancer. American Cancer Society. 4. ↑ Newell, Sarah, and Caroline Overton. “Postmenopausal bleeding should be referred urgently.” The Practitioner 256, no. 1749 (2012): 13-16. 5. ↑ Cervical cancer. MedlinePlus, U.S. National Library of Medicine. 6. ↑ Leukemia. MedlinePlus, U.S. National Library of Medicine. Signs and Symptoms of Cancer. American Cancer Society. 8. ↑ Breast Changes and Conditions. National Cancer Institute. 9. ↑ Cunha, Burke A., Sowjanya Mohan, and Subha Parchuri. “Fever of unknown origin: Chronic lymphatic leukemia versus lymphoma (Richter’s transformation).” Heart & Lung: The Journal of Acute and Critical Care 34, no. 6 (2005): 437-441. 10. ↑ Kvale, Paul A. “Chronic cough due to lung tumors: ACCP evidence-based clinical practice guidelines.” Chest 129, no. 1 (2006): 147S-153S. 11. ↑ Colorectal Cancer—Patient Version. National Cancer Institute. 12. ↑ Check for signs of skin cancer. Cancer Council Australia. 13. ↑ Difficulty swallowing. Canadian Cancer Society.